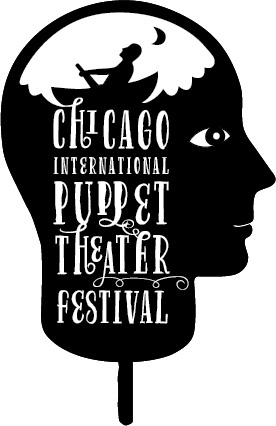 The puppets are back and Chicago is a wonder filled place from January 19th-29th. Here at ChiIL Mama and ChiIL Live Shows we're catching as many performances as we can, including adult shows and kid friendly productions. Two of our family friendly picks are hosted by long time favorites of ours, Adventure Stage Chicago at The Vittum Theater. The first is great for the littles and the second show is for the little biggers. Click HERE for a listing of all of the All Ages Puppet Shows. 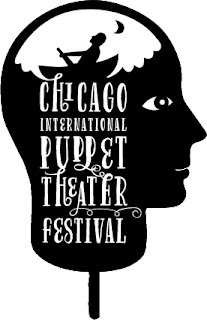 Adventure Stage Chicago (ASC), a program of Northwestern Settlement (the Settlement), doubles its participation in the 2017 Chicago International Puppet Theater Festival following the success of 2015’s Le Petit Cirque by Laurent Bigot. ASC presents Plastique by Montreal’s Théâtre Puzzle (Jan 21 – 23) and The Sorcerer’s Apprentice by Minnesota’s Open Eye Figure Theatre (Jan 25-29). All performances take place at Northwestern Settlement’s Vittum Theater, 1012 N. Noble St.
Tickets are $17 for adults and $12 for youth aged 14 years and younger. Workshop tickets are $17. Student matinee tickets are $7 for CPS and $8 for non-CPS. Tickets may be purchased at adventurestage.org or by calling 773.342.4141. What's more surprising than a plastic-bag world, where funny and colorful creatures appear and transform? They fill up, they empty out, they fly, they get bored, and they resemble us a little bit... maybe. 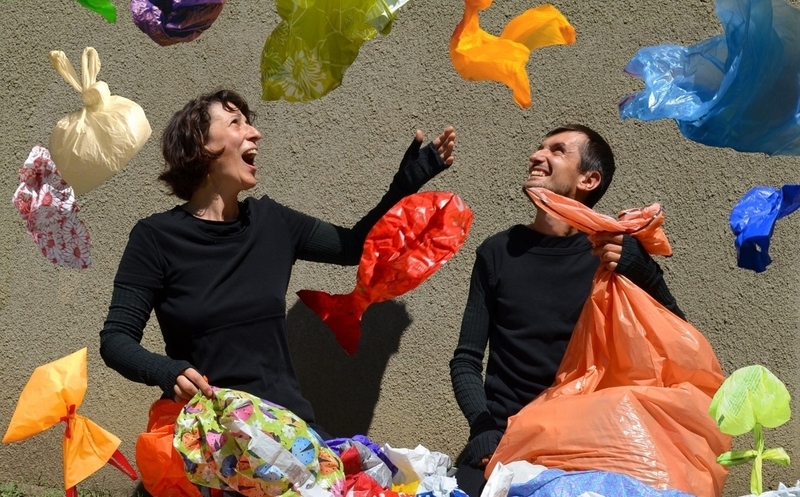 With Plastique, Théâtre Puzzle brings to Adventure Stage a multicolored performance with unusual puppets, humor, and unexpected situations. On January 21st at 4:30pm, join Théâtre Puzzle and ASC for an exclusive puppetry workshop and explore the magic of found objects as dramatic tools. Only 20 tickets available. This production is supported in part by the Quebec Government House. Created in Bulgaria and established in Montreal since 2004, Théâtre Puzzle presents a unique style by mixing various genres, traditional and contemporary. Combining dramatic theater, object theater, and puppetry, Théâtre Puzzle is distinguished by the colored amalgam of styles and the variety of means of expression it offers. Granting the audience the freedom to interpret the unspoken and the free association of ideas, allowing them to feel what is not explicitly told—this is the artistic peculiarity of the company. Public Performances: Friday at 7pm; Saturday at 1pm and 7pm. School matinees: January 25-27 at 10:30am. Dive into a world of wonder as ASC presents The Sorcerer's Apprentice. Left by his master to complete a list of chores, the apprentice calls on spirits to help. Using magic he can't control, the young hero unleashes a flurry of whimsy and mystery! With masterful marionette puppetry and an original score, Minneapolis-based Open Eye Figure Theatre explores youth and aging, the allure of power, and the beauty of a life well-lived. 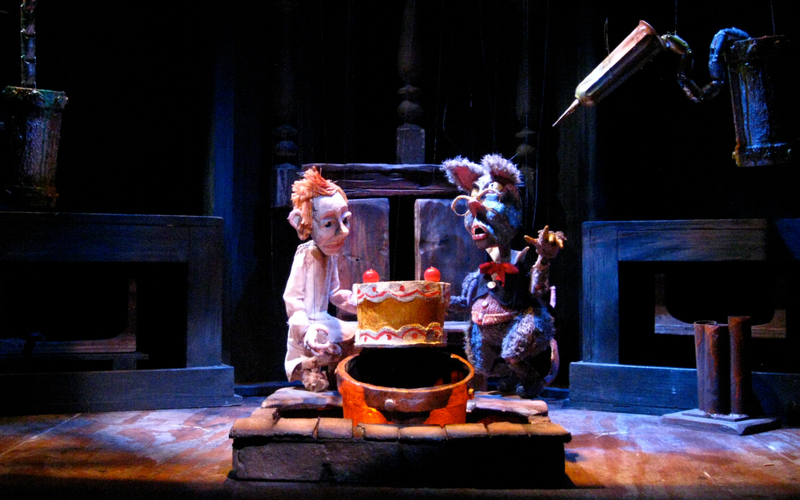 This performance is a co-presentation with the Chicago International Puppet Theater Festival. Open Eye is nationally recognized for bringing a visual feast of evocative figure theater to the stage. The company’s whimsical yet profound work surprises and delights whether experienced in the company’s historic jewel box theater in Minneapolis or in neighborhoods throughout the Twin Cities with the Driveway Tour. From experimental object works to puppet shows in backyards to community pageants to miniature spectacles, Open Eye consistently creates a unique, contagious exchange between artists and audiences. Founded to establish Chicago as a prominent center for the art of puppetry, this biennial Festival will present the highest quality local, national, and international puppet shows in venues across the city. Invited artists will lead workshops, public presentations and talks as an integral part of the Festival offerings. Additionally, the Festival will host the Volkenburg Puppetry Symposium devoted to the advancement of scholarship and research in the field of puppetry. Northwestern Settlement opened its doors to its neighbors in 1891 in order to provide an opportunity for a better future. The Settlement’s success results from a commitment to treating every person who enters its doors with dignity and respect, while supporting them with transformational programming designed to interrupt the cycle of poverty. The Settlement has adapted its programming throughout the past century in response to changes in the community, economy and society. The Settlement has led the way in innovative programming by offering residential science and environmental education for inner-city youth, launching successful charter schools and adding a theater so children and teens have a forum for expressing their life experiences. The Settlement’s Adventure Stage Chicago (ASC) is one of the only theaters in Chicago to develop and present works specifically for the pre-teen and teenage audience. Adventure Stage Chicago creates and tells heroic stories about young people in order to engage the community and inspire everyone to be a hero in their own lives. ASC also offers: Neighborhood Bridges, the in-classroom arts residency program; Trailblazers, a youth mentoring arts program; summer drama camps; and drama instruction in the Settlement’s Rowe Elementary School.